Creating your own fragrance or blend using your biblical essential oils will be one of your most satisfying aspects in using your oils. Whether your blend is for therapeutic purpose or merely for its wonderful aroma, you will be practicing the art of the apothecary and acting as priest of your body, which is the temple of the Holy Spirit. 1 Corinthians 6:19 says, What? Know ye not that your body is the temple of the Holy Ghost [which is] in you, which ye have of God, and ye are not your own? Certainly, the responsibility of the care and health of your body belongs to you and not to a doctor or another individual. There are two types of blending you can do: therapeutic and aromatic. Whether you are blending for therapeutic benefits or just for aroma, be sure to pay close attention to the contraindications of any oil you choose and safety guidelines regarding its use. For instance, if you are creating a blend to aid in an upper respiratory condition (such as congestion) but suffer from epilepsy, you will not want to use Hyssop as it could cause a seizure. 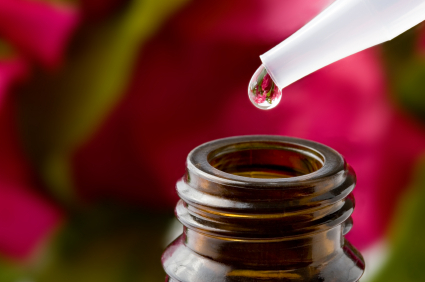 You will also want to make sure the essential oils you choose for your blend won’t contradict the effect you desire. For instance, if you are creating a blend to enhance deep sleep, you want to avoid using oils that spark energy (such as Cypress), keeping you alert and awake. The aromatic description listed under each oil, along with its use, will help you get started. For more information, there are several books available online and at your local bookstore that can provide you with greater detail and information on how to use and blend oils. It will be worth the investment to get several resources and have them on hand for these last days!